Negative thoughts have the potential to control the way people perceive and interpret almost every aspect of their lives. Some may have negative thoughts about themselves, others, or the way of the world. Negative thoughts generate negative feelings, and negative feelings contribute to negative behavior and mood disorders. That is why it is important to know how to balance negative thoughts in the moment. With practice, a patient can learn how to challenge and balance negative thoughts, which will reduce maladaptive thoughts, feelings, and behavior. 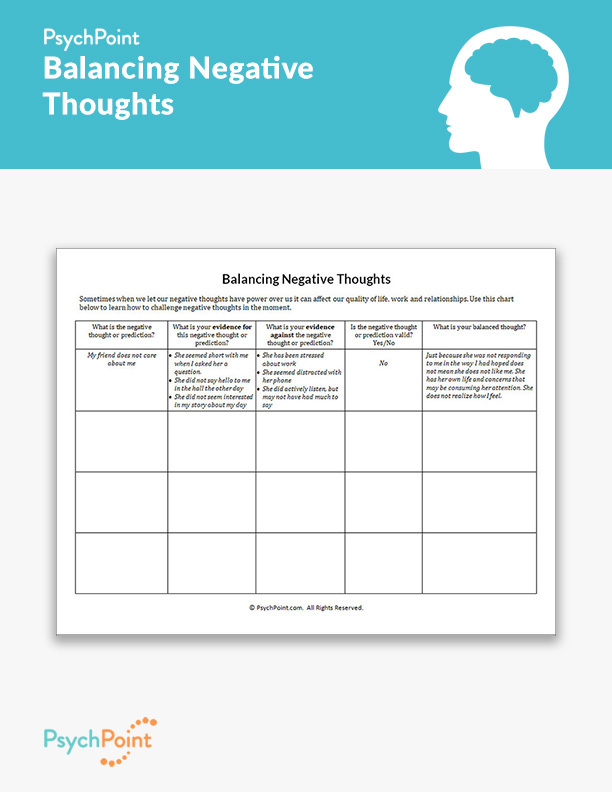 This is a Balancing Negative Thoughts worksheet. 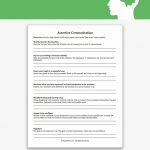 On this worksheet, the patient is asked to actively challenge negative conclusions or predictions they have about different situations as they go about their days. In learning how to challenge their initial negative thought, they will be able to draw a balanced conclusion about a situation and their overall outlook on themselves and the people and environment around them. 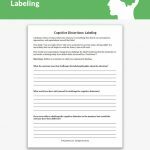 This worksheet is excellent for those who are being treated through cognitive therapies. 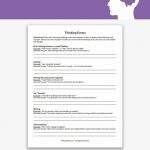 On this worksheet the patient is asked to record the negative thought or prediction that is troubling them. They are then asked to list the evidence they have to support the negative thought or prediction, the evidence against the negative thought or prediction, and whether the negative thought or prediction is valid. The patient is asked to complete the exercise by balancing the thought about the situation. 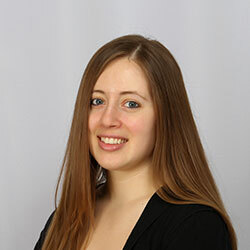 There is an example of the process on the worksheet, but it is recommended that a mental health professional review the instructions before asking the patient to complete it on their own. 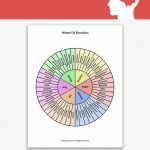 This worksheet is meant to serve as a homework assignment, and is to be filled in by the patient in-the-moment. Both the patient and mental health professional should have an understanding of how CBT works before completing this worksheet.